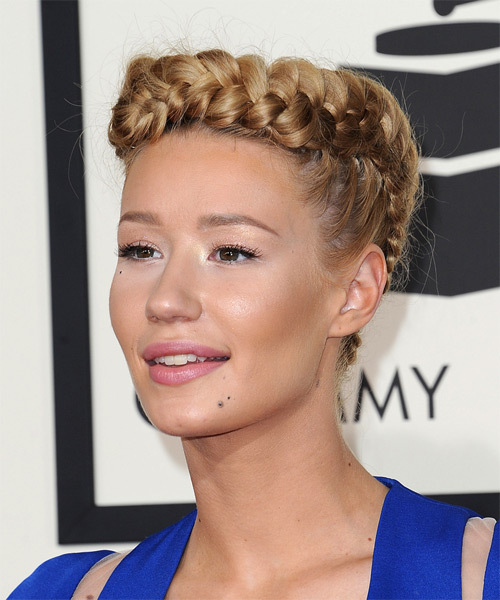 Iggy decided to wear her locks up for the 57th Annual Grammy Awards. 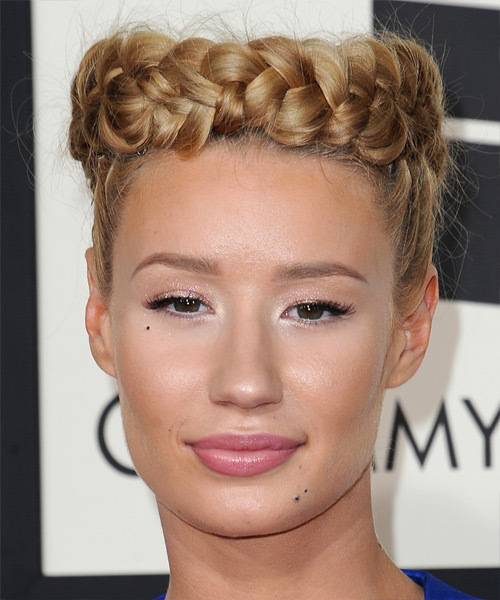 Her highlighted tresses are braided and worn around the head to create this fancy 'do that is easy to re-create and naturally long locks. Pins are needed to secure this in place nad product will help add shine.